This sleek watch from the Bold collection perfectly exhibits Movado's signature minimalist style. 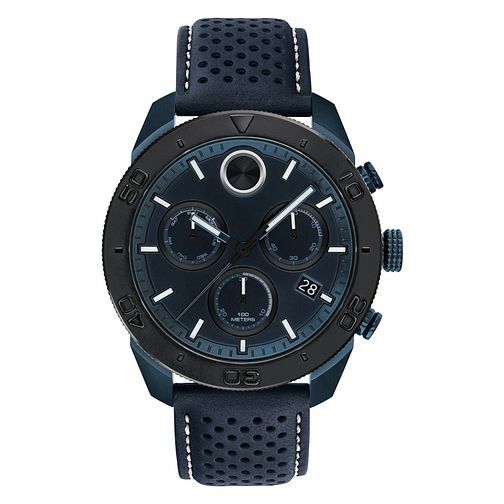 Set on a black ion plated case and sports black leather strap, the bold black dial with matching subdials is finished with Movado's iconic dot motif. Powered by Swiss Quartz movement, this elegant timepiece offers excellent accuracy. Comfort, functionality and style.